Some scientists are now speculating that 'Dark Matter', the modern day aether that is barely holding the gravitational theory together, might be electrically charged. They're getting closer and closer to the notion that space itself carries electrical currents. Electric Universe is the future, it's only a matter of time now. ^ Great find thanks! The next Scientific Revolution will be underway before we know. Meanwhile, look at this Vice Magazine article denouncing it as a fringe cult movement. Notice thei appeals to authority, smugness, and belittling used. however it's the rest of the universe, they say it's something else like dark matter. But Professor Erik Verlinde, an expert in string theory from the University of Amsterdam and the Delta Institute of Theoretical Physics, thinks that gravity is not a fundamental force of nature because it's not always there. Instead it’s “emergent” - coming into existence from changes in microscopic bits of information in the structure of spacetime. This aspect of Verlinde's theory was actually tested recently with success by a team of Dutch scientists. Quote: For example, the Big Bang theory is the idea that at a particular moment things suddenly started exploding and growing, and that our universe got bigger, which Verlinde finds illogical to think it came from this one moment. The bad guys who have been running the show worship what's coming.. Team Trump is afraid of what's coming..
We are living in the end times my SJW crew..
You better have some guns. Good. I've always thought that the Big Bang was a lame theory. And especially disliked the notion of an expanding universe based on redshift/ Doppler effect. (06-16-2018 02:53 AM)pug-thug Wrote: "Well, of course gravity is not an illusion in the sense that we know that things fall. Most people, certainly in physics, think we can describe gravity perfectly adequately using Einstein’s General Relativity. But it now seems that we can also start from a microscopic formulation where there is no gravity to begin with, but you can derive it. This is called ‘emergence’." If the EU Theory guys turn out to be right; gravity is indeed an emergent force. They've postulated that it's the magnetic force from protons, but shielded by electrons or vice versa. Even when an atom is neutral (same number of electrons as protons) the magnetic force isn't totally canceled, because though the electrons are spinning very fast they cannot be everywhere at once. What we end up with is the magnetic force of protons dampened by about a billion times strength, but not completely removed. 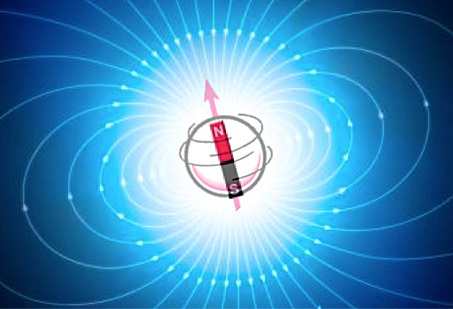 When matter clusters to form asteroids, planets or stars, the leaky magnetic force causes proton 'dipoles' to align towards the center of mass somewhat like a compass needle. This causes the 'emergence' of a gravitational field. At least that's my understanding of what I've heard Wal Thornberg say about gravity. I have no doubt that story is going to be much closer to the truth than the Graviton or 'God Particle' CERN and others pretended to have discovered / proven, only to backtrack that discovery a couple years later.